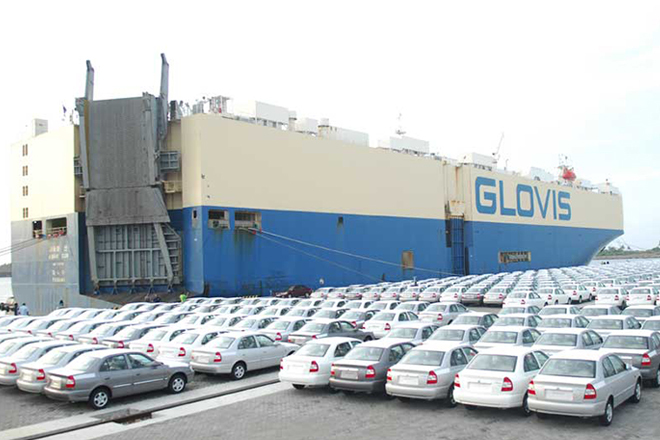 May 25, 2016 (LBO) – Expenditure on motor vehicle imports to Sri Lanka has recorded a 60 percent growth last year compared to previous year, Ceylon Chamber vehicle market report showed. The annual publication which is now available for purchase showed that country’s expenditure on vehicle imports has accounted for 7 percent of the total import bill in 2015 and took up 13-percent of total export earnings. With sharply increased vehicle imports, the registration of motor vehicles also rose by 56 percent during 2015, consequently pushing the country’s total vehicle population to 6.3 million. Import of passenger vehicles recorded the highest growth in vehicle imports, growing by 88 percent year-on-year, mainly driven by imports of motor cars. According to the report, more than half (53%) of the current vehicle population consists of motor bicycles followed by three-wheelers (17%) and motor cars (11%). The report features latest information on vehicle registration; vehicle population; vehicle imports, popularity of key vehicle brands; and an overview on the global vehicle market.